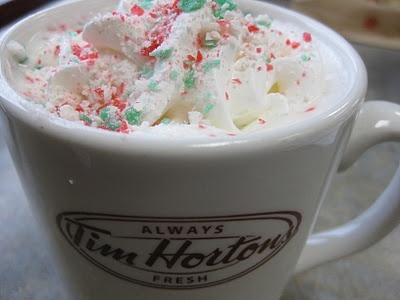 Are you a fan of Tim Hortons candy cane hot chocolate? Unfortunately, you’re out luck this holiday season. BELLEVILLE – Some Tim Hortons customers have been disappointed going into the Christmas season to discover that they can no longer warm up with the festival flavour of a cup of candy-cane hot chocolate. The company has removed the item from its winter menu, a spokesperson confirmed to QNet News Wednesday morning. But if you’re a fan of the Christmas flavour, don’t despair completely: candy cane hot chocolate been replaced by peppermint hot chocolate, the spokesperson said. The new version, however, doesn’t have quite the same aesthetic: it’s missing the decorative whipped-cream topping and candy-cane sprinkles that helped make the old flavour such a holiday treat for many Canadians.